Whohoooo the Amazon Haul for November is finally here! I wanted to post it around the same time as when their Cyber Week Sales began hitting so that you could kill two birds with one stone and I could have everything in one post! 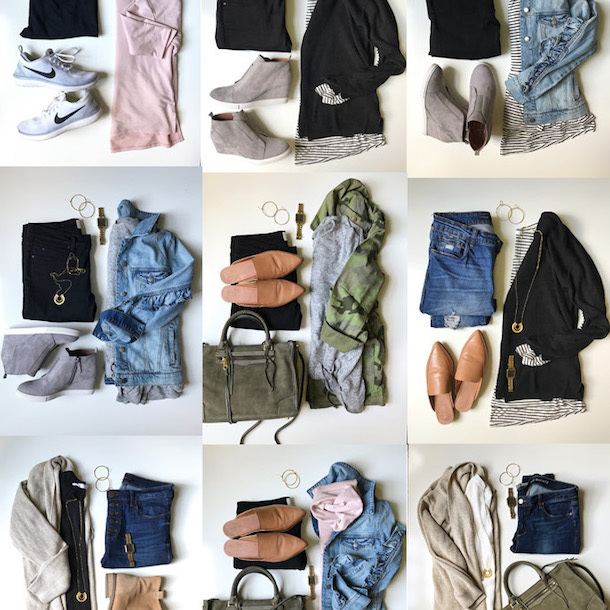 Here are my best fashion finds from Amazon this month (including quite a few Holiday occasion dresses! ), as well as my top picks from their Cyber Deals! Would love to know your favorites! *Housekeeping: please know that these hauls are only made possible by the small affiliate income that I earn from the sales generated by them. If you want to ensure that I am given credit, please avoid checking out within the Amazon app (it cancels out our credit, so only Amazon benefits) and make sure that you’ve clicked on one of my links before checking out. Thank you so much for considering this, I’m happy to keep growing these posts! 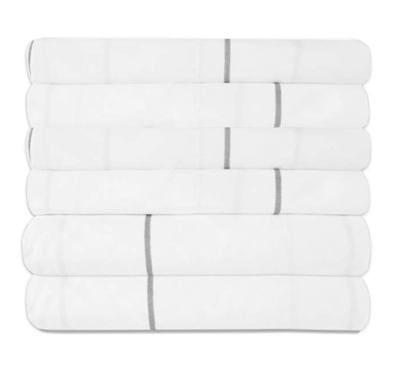 Just ordered these sheets! 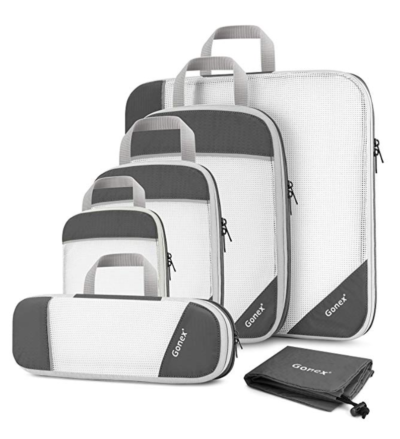 Amazing reviews, 6pc set (aka two extra pillow cases), a TON of colors and $26.53 on Prime! Doll + Me Matching Pajamas on sale for $14! I stocked up as gifts too! 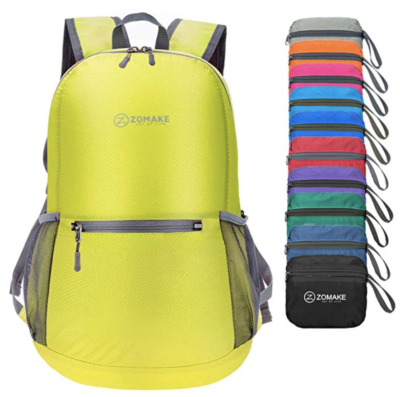 This packable backpack is such a great gift for the adventurer or traveler! 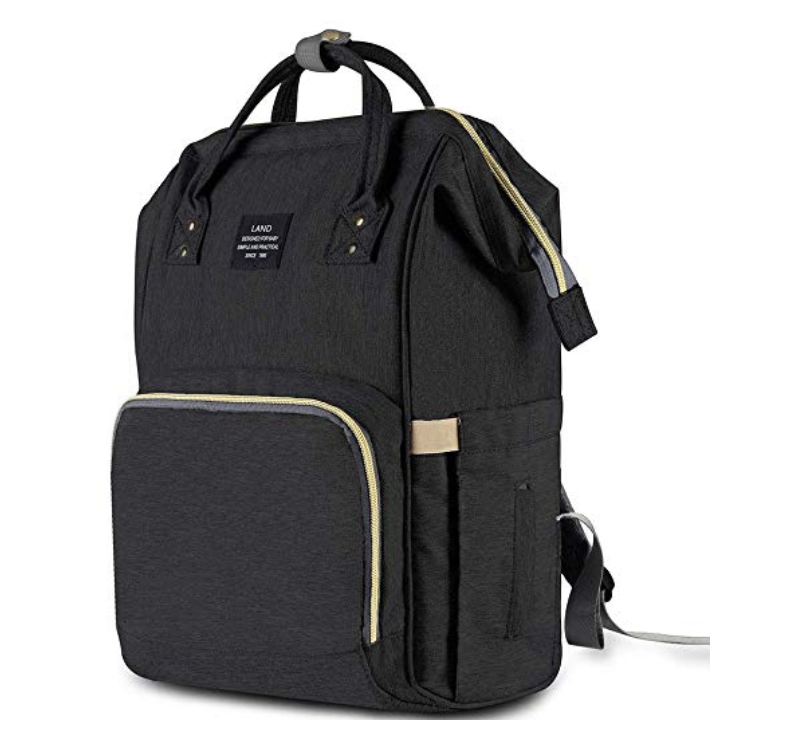 It packs tight and then unfolds to be a fully functional backpack! On sale for $12! Got these jams for the girls for $12-13/each! 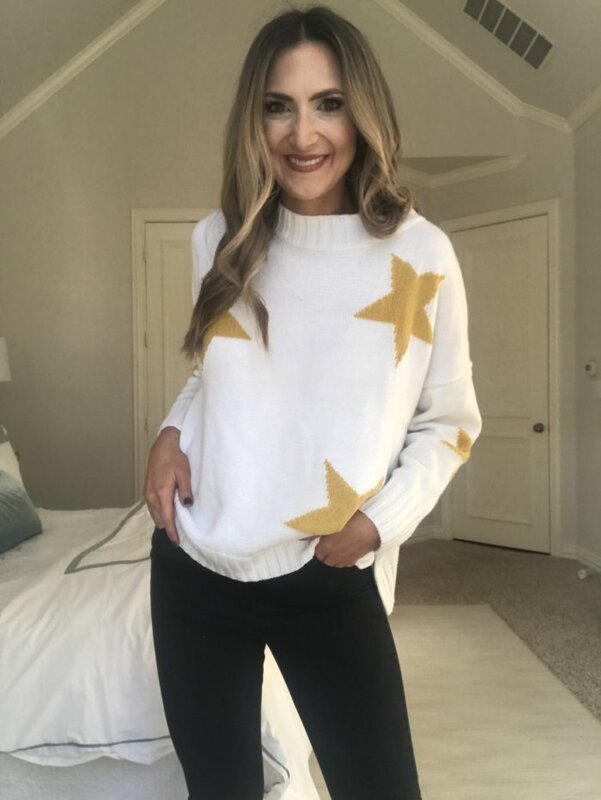 You’ve been seeing a lot of this star sweater on Instagram, as I’ve worn it quite a few times already! It looks designer (Golden Goose makes a similar one for hundreds more), is AMAZING quality and is of course a great price. Also comes in black. Wearing a small and it’s a generous fit by nature. 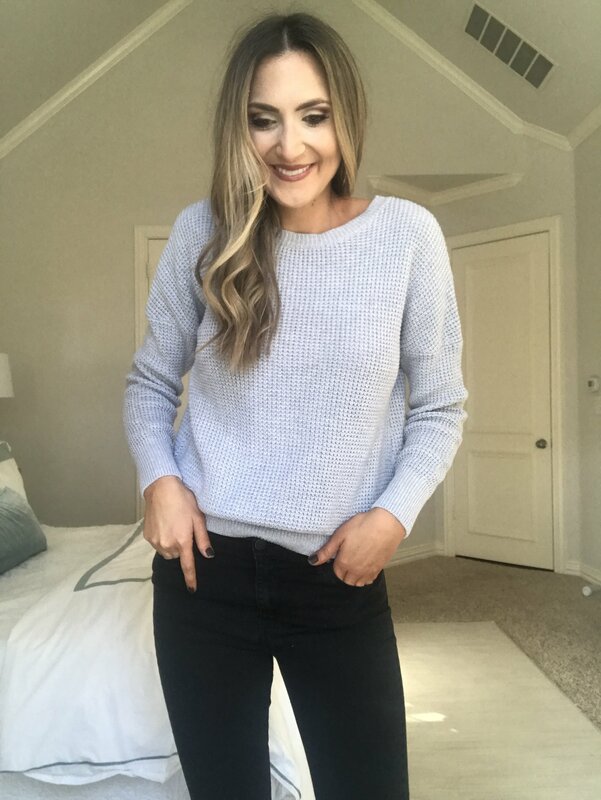 This large knit sweater is almost a direct dupe of the Free People one that I wear non-stop. The sleeves, shape and collar are dead ringers and this one is is about $125 cheaper at $24.99 with Prime shipping. Comes in tons of beautiful colors too. I’m wearing a small. 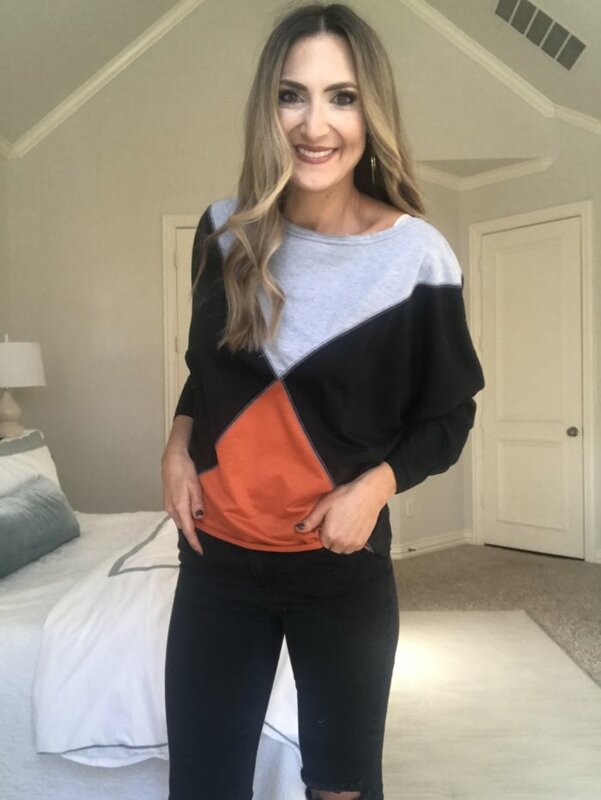 This colorblock sweater isn’t really a sweater (more like a knit), but overall has the feel of the colorblock French Connection one. 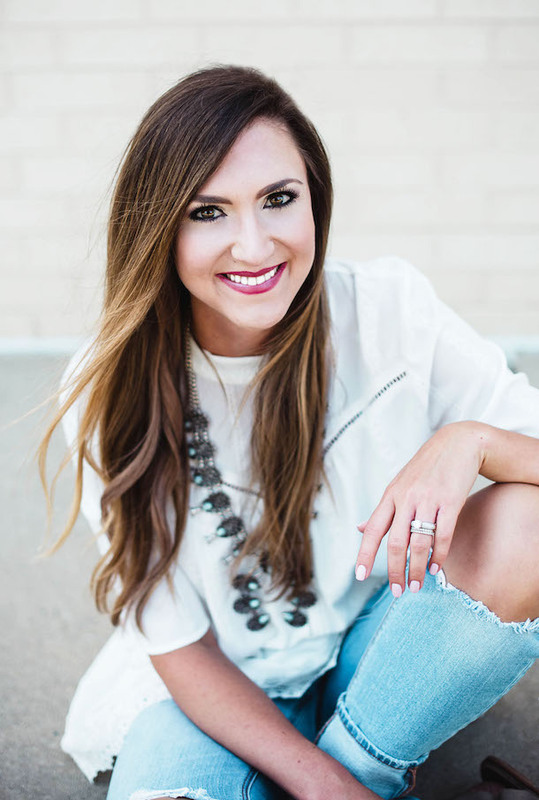 It’s an inexpensive fashion top that’s great to pair back to neutral boots. I’m wearing a small. I loved the thought of this criss back sweater and liked the fit even more. Very unsuspecting from the front, and cute and playful in the back. 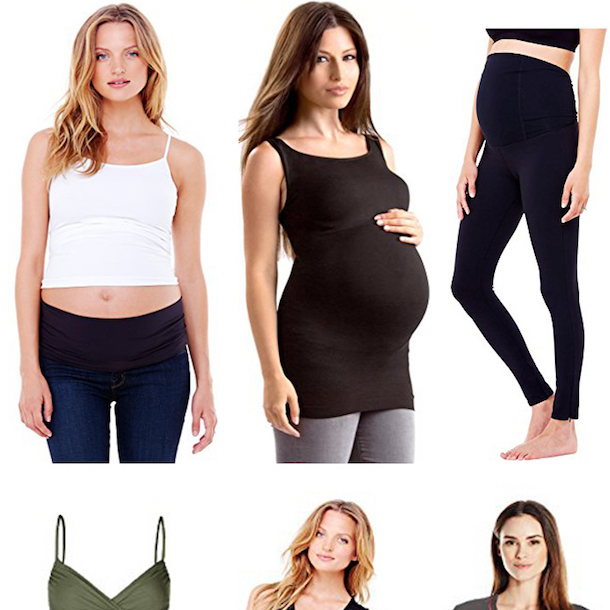 Wear a bandeau or cami underneath to hide bra. 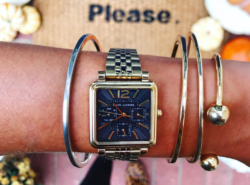 Comes in quite a few colors at $29! I’m wearing a small. 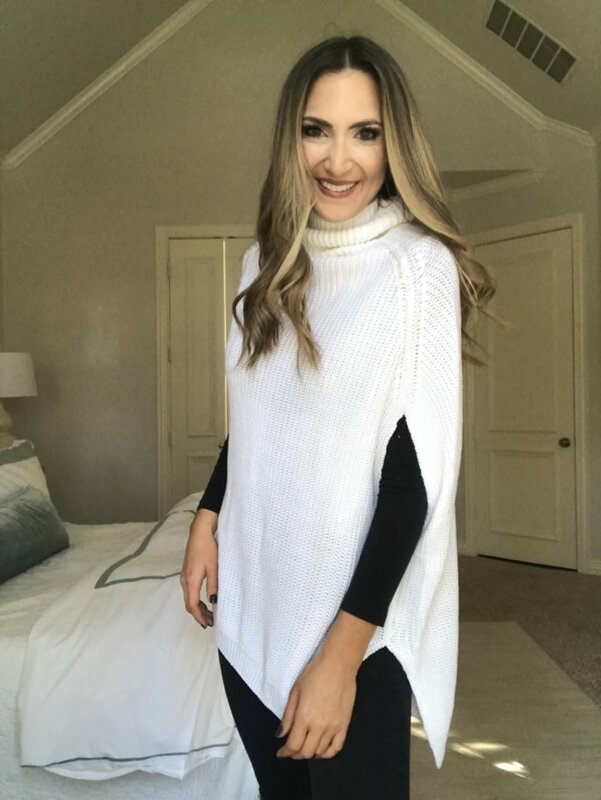 I’m loving winter white right now and this off the shoulder sweater has a cute, flattering fit and I love the off the shoulder detail for a fun date night top! Best part? It’s $12.99! I’m wearing a small. This cape is all the things! Cozy, cute and actually functional with armholes. 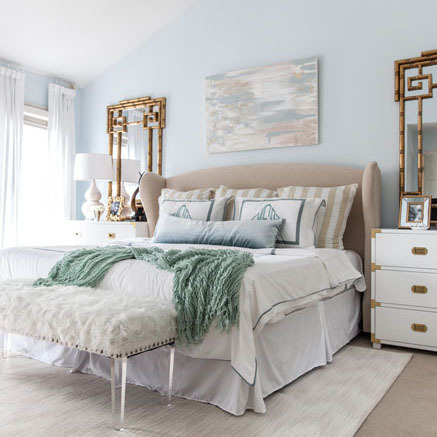 I love that it has the look of a cape, but truly stays in place! Great quality and around $26! Multiple colors, too. I’m wearing a small. 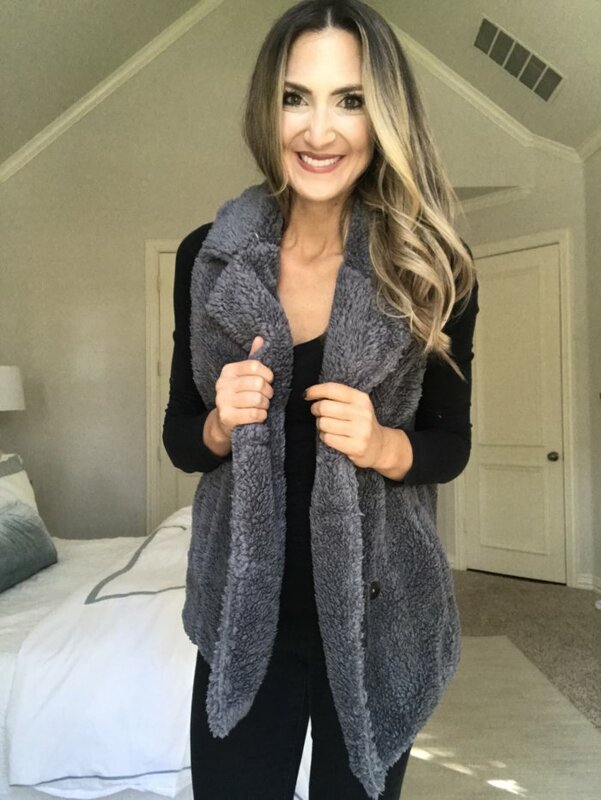 This teddy bear vest is not only comfy as all get out but it’s a cute top layer. I love this color to break up an all black outfit, but there are tons of colors AND jackets HERE. I’m wearing a small. One of my favorite outfits from the haul! 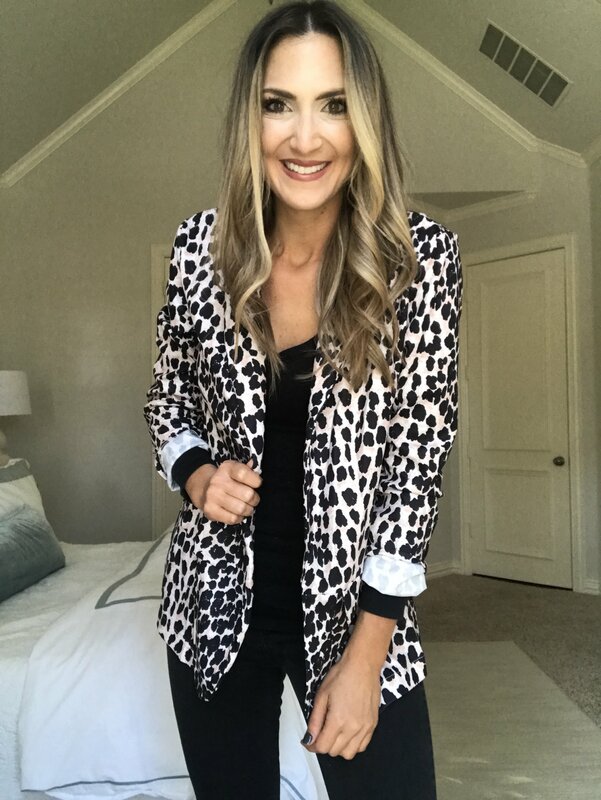 I had low expectations for this blazer and ended up LOVING it! 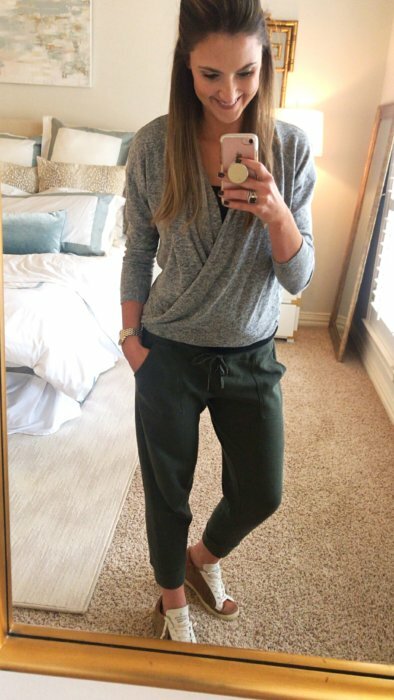 Such a cute cut and I love the look of it over a basic black outfit. This one will sell quickly, make sure to snag it! I bought the M and also just bought the snakeskin. UNDER $20! 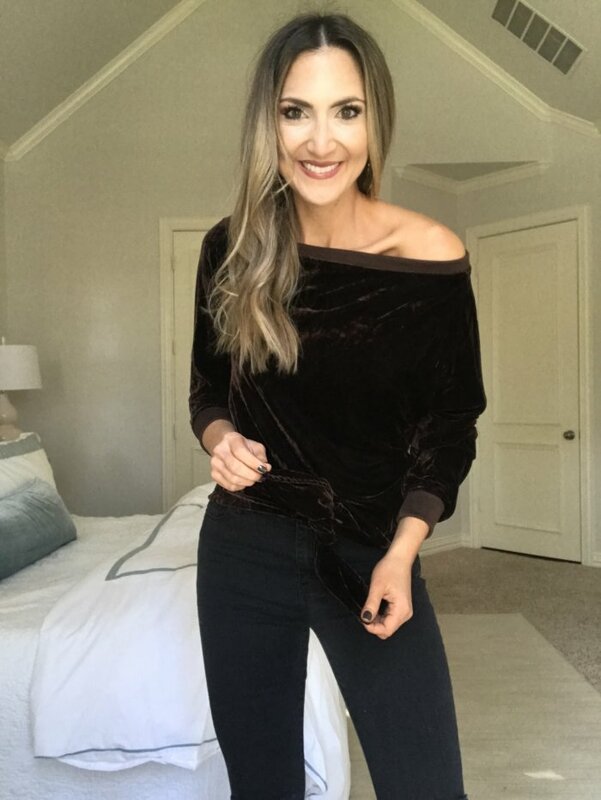 Cutest casual top– this velvet sweatshirt is functional and a little funky. 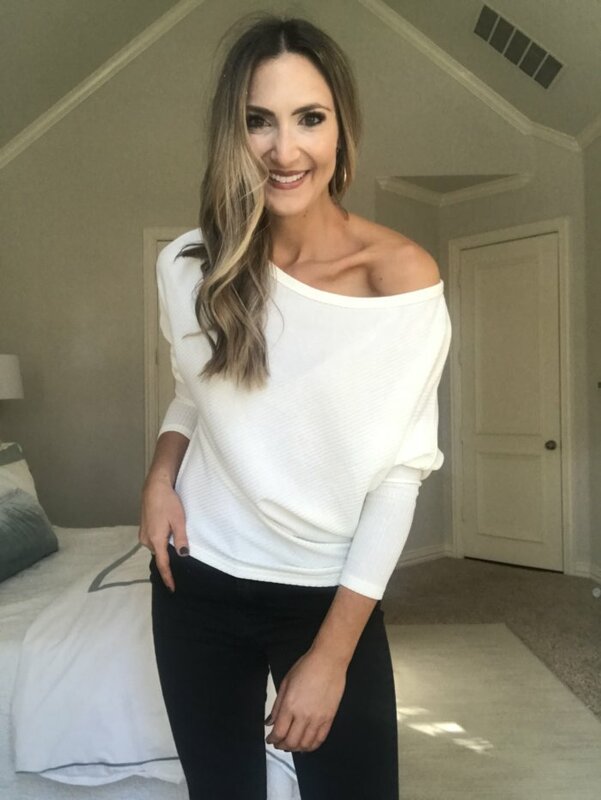 The off the shoulder fit and tie at waist add some interest and it’s $17! 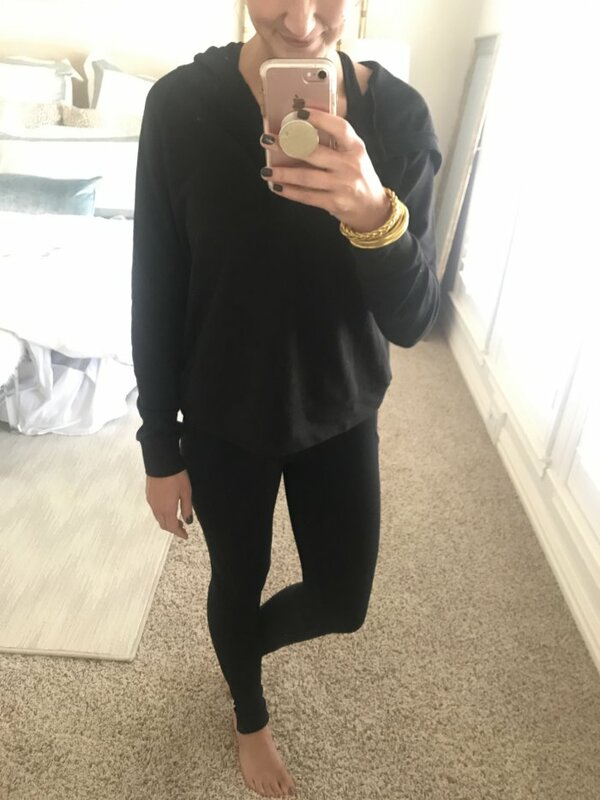 Multiple colors, wearing a small. 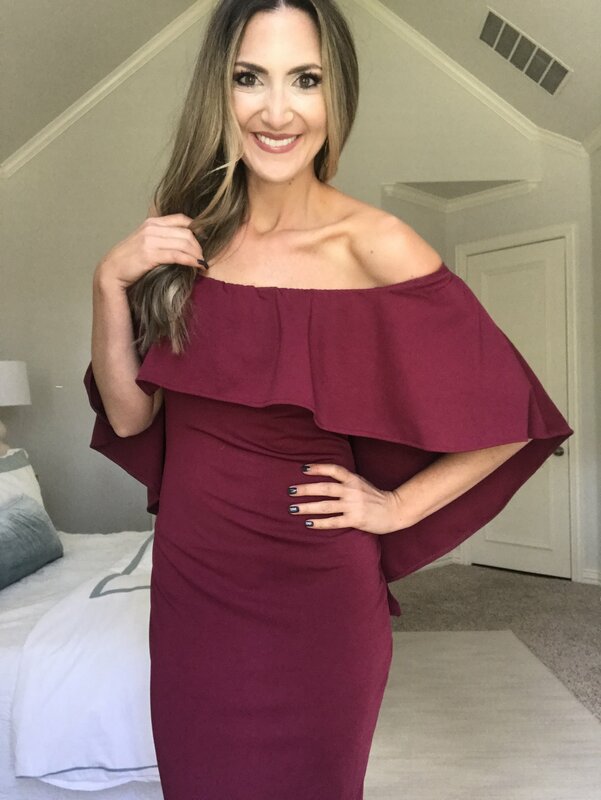 This little ruffle dress could easily pass for a much more expensive Rebecca Taylor dress, but nope it’s $22.99! 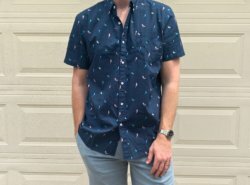 Wearing a small and I would say it’s a generous fit, so safe to size down. 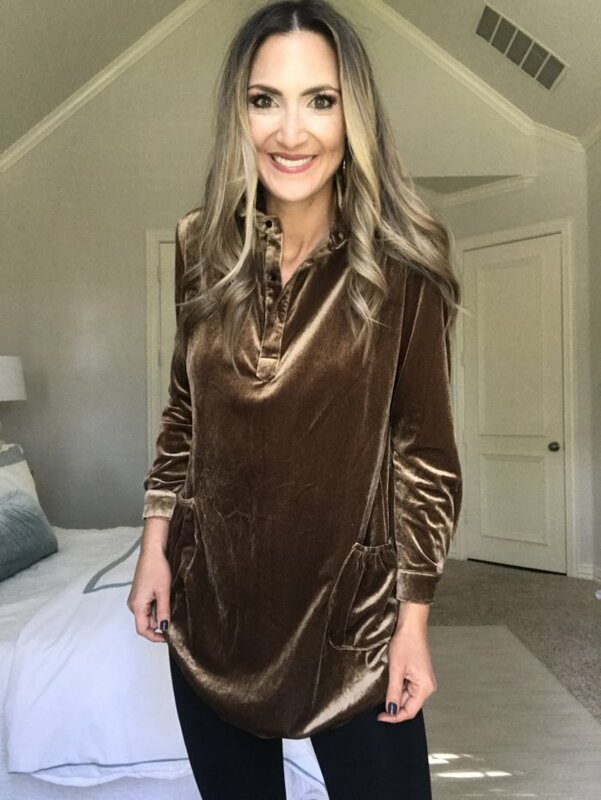 Doesn’t this velvet tunic look luxe?? Love it for the cold winter months paired with leggings and boots and even with a vest layered over. 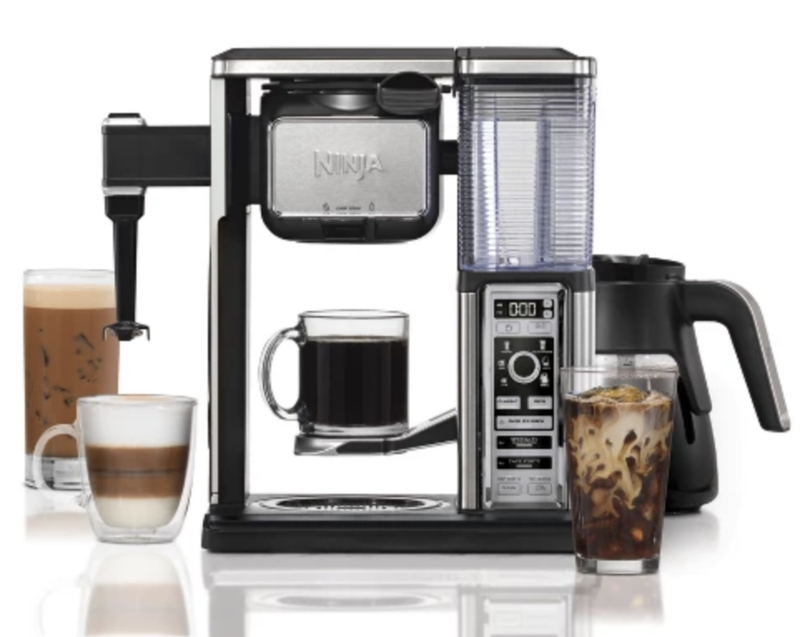 It comes in quite a few BEAUTIFUL colors, but does run a bit small. Safe to size up here. I’m wearing a small and would prefer a M.
THIS DRESS BLEW ME AWAY! 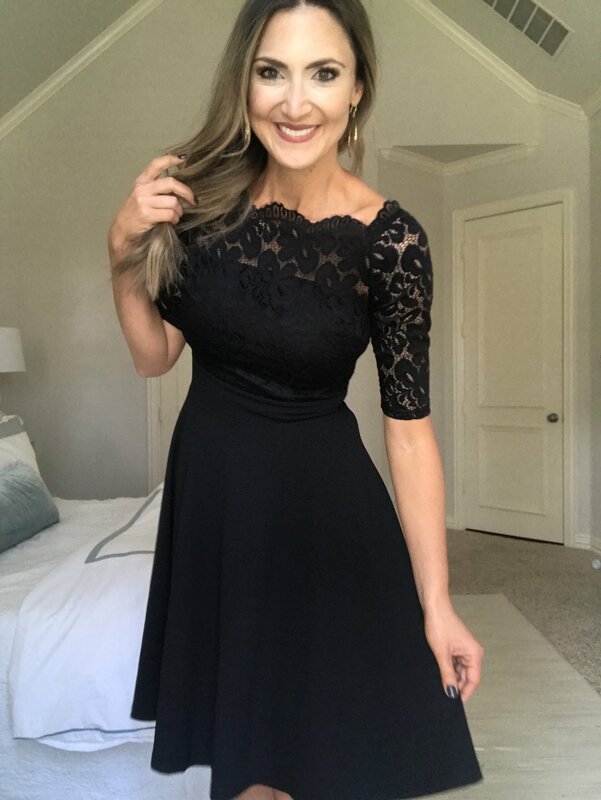 I had ZERO expectations of this dress looking good on me or being worth a hoot and put it on and instantly felt flattered, feminine and beautiful! It’s FORTY ONE DOLLARS and looks like a million bucks on. There’s a built in shelf bra that adds some extra support for your strapless which is basically priceless. 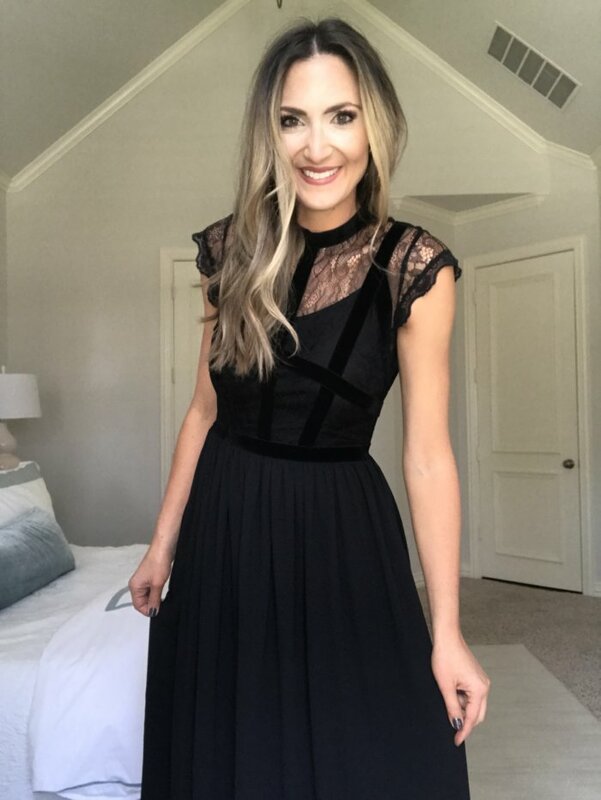 If you want a beautiful dress for under $50, this is a winner! I’m wearing a small in the black, but there are quite a few beautiful colors. 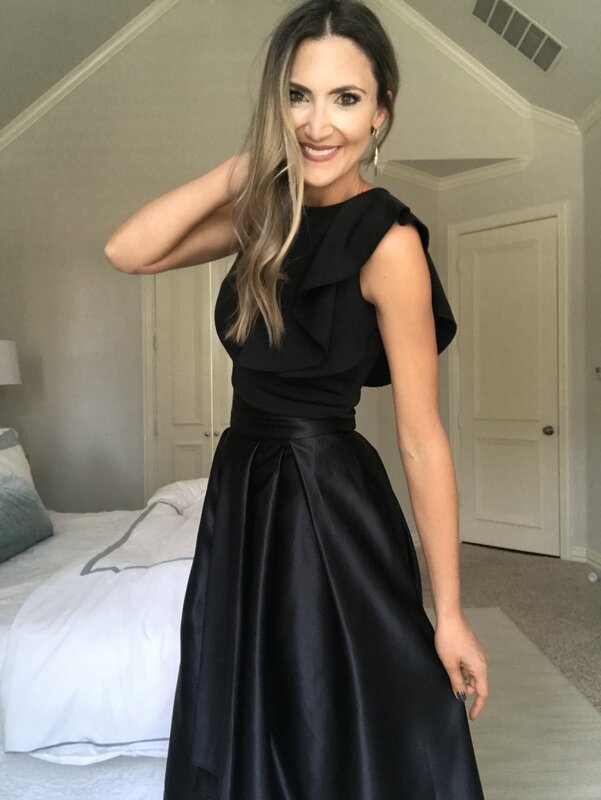 I posted this dress last year, but thought it was worth re-sharing! It’s TWENTY DOLLARS, on PRIME and is a total show stopper. Flattering, bodycon fit in the front, but the batwing cape detail covers the backside. Basically my ideal dress. Multiple colors, wearing a M.
STOP THE MUSIC! This dress is unreal y’all. It’s FIFTY SIX DOLLARS and looks like it’s well over $200! SO well made with velvet and lace details, an amazing fit and a beautiful gathered ball skirt. I put it on and honestly couldn’t believe my eyes. Snag this before it sells out. It’s available in multiple colors and on Prime shipping. 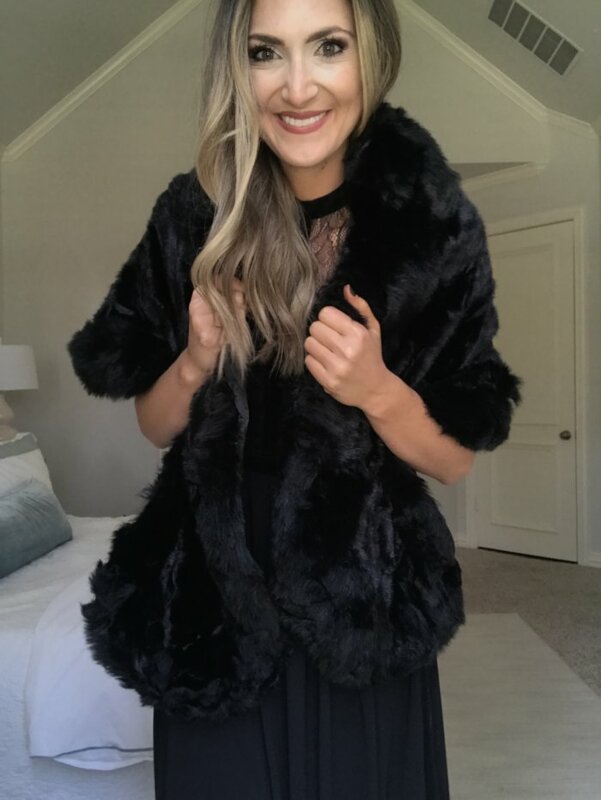 If real fur isn’t on your agenda (or in your budget), but you want to feel dressy while still keeping warm….this black fur shawl is amazing quality for the $39 price! Multiple colors, too! 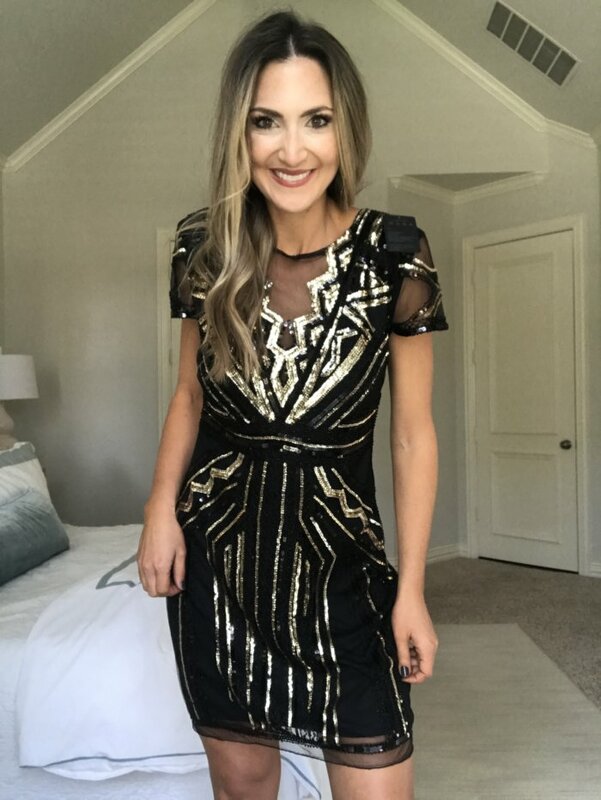 After I ordered this I asked myself what on earth I was thinking—there’s no way this mama would ever feel confident in a sequin mini dress!?!? WRONG! 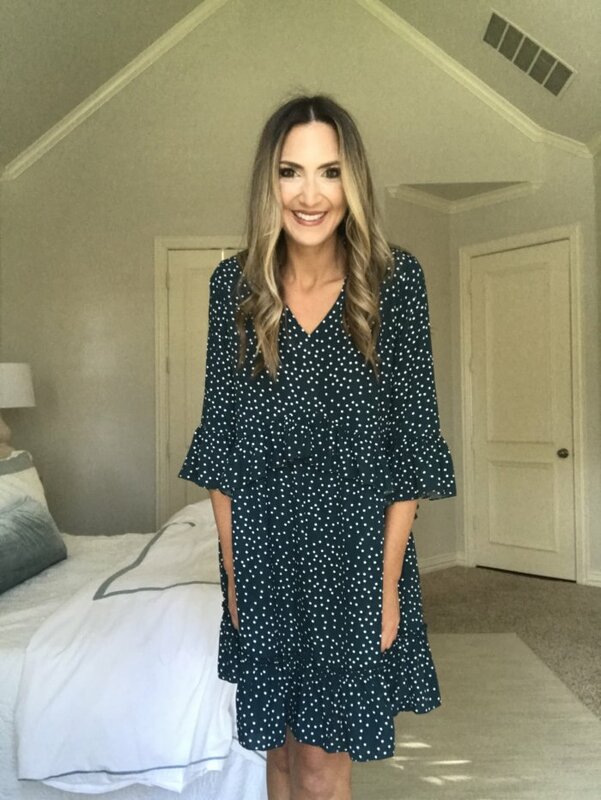 This dress is totally appropriate and equally as sassy—even making this mama of two want to hit the town! It’s SO well made and looks like it costs WAY more than the $36 price tag!!! It comes in quite a few sequin combinations, too. I’m wearing the M here, but would have actually preferred the small, so I would say it’s TTS. I love two piece sets for the Holidays! 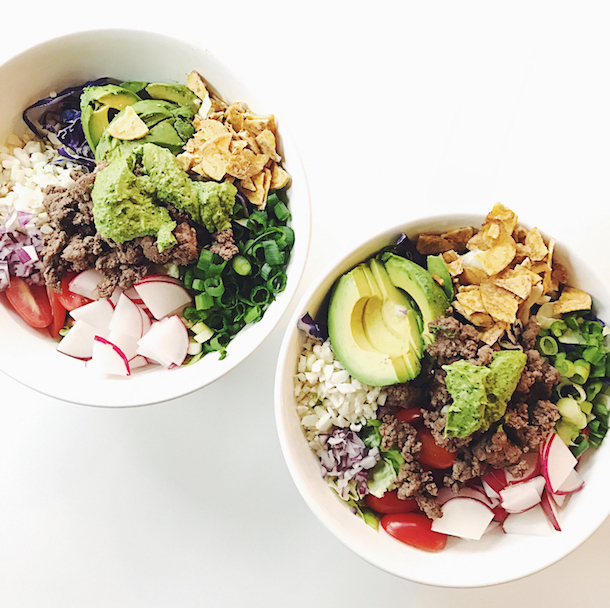 Here are two combinations that were real winners! This $11 ruffle trim crop top is perfect to pair with high waisted ball skirts! The quality is great and the fit is flattering. I sized up to a M and really liked the look. The red high low skirt is a SHOW STOPPER for the Holidays and is a whopping $27! You could even just pair it with a beautiful, crisp white button up shirt for a beautiful look. This is a small. This party skirt is insanely good quality and beautiful on. It’s fitted around the waist, creating a beautiful shape. Comes in a TON of beautiful colors and now lives in my closet just waiting for a special occasion! Wearing a small here. 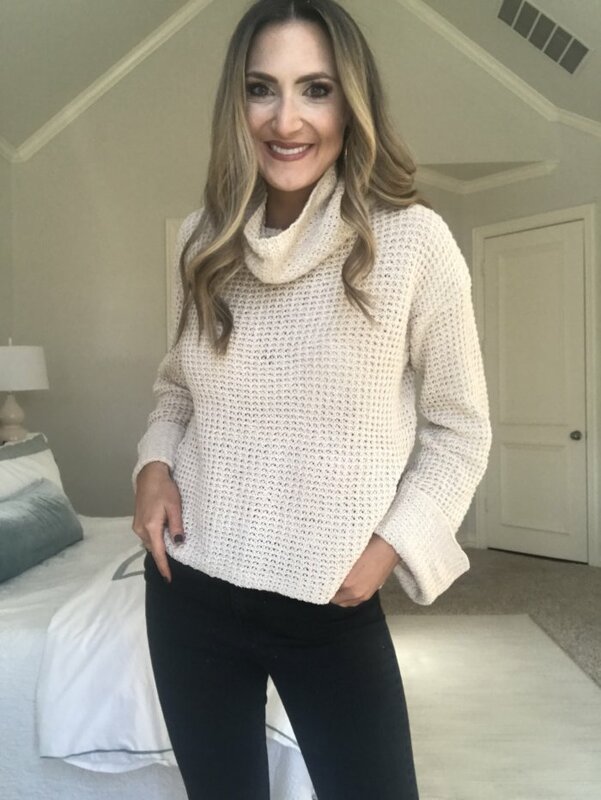 This KNIT PULLOVER sweater was a big hit and is awesome quality! 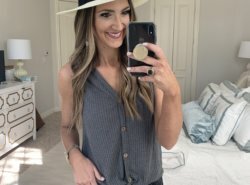 This $18 LEOPARD TOP was a big hit! 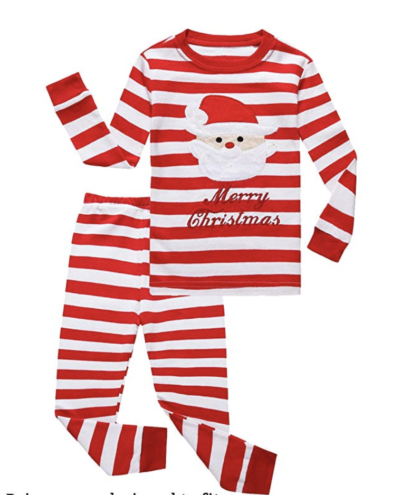 These ultra soft CHRISTMAS PAJAMAS are my personal favs! These WEDGE SNEAKERS continue to be a best seller! The HaloVa diaper bag is on MAJOR SALE for $24-$35! 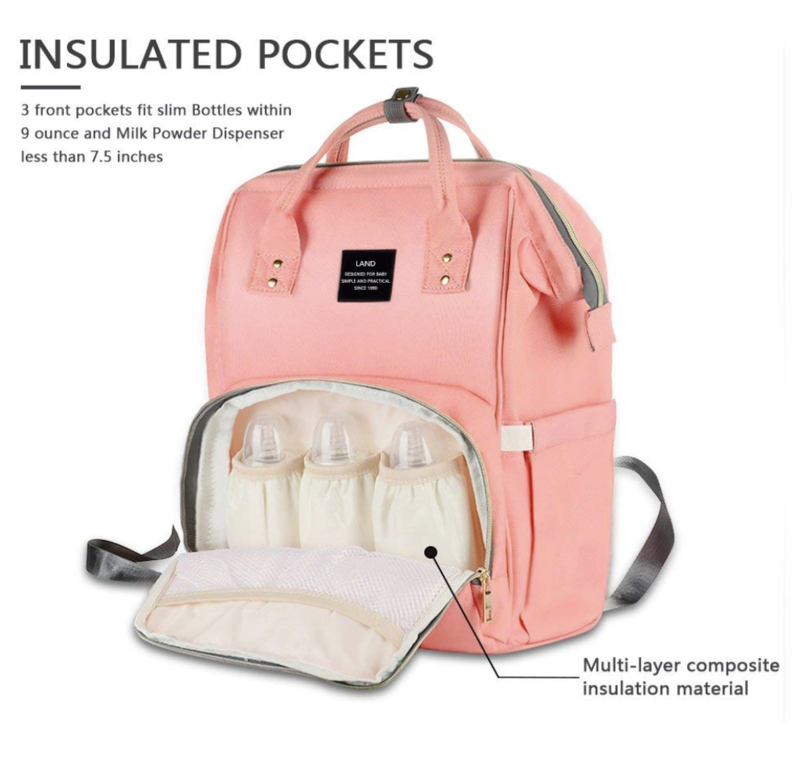 It’s such a beautiful, unisex diaper bag and gets AMAZING reviews. I bought one for a friend and would have used it for myself had I known about it. 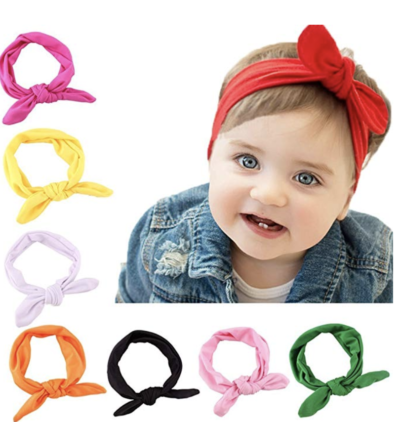 My favorite headbands for Lawson are on sale for $7.60 for 7 colors!!! I got this BABY DOLL SET for Lawson on sale. This unicorn dress up dress is perfect for any princess on your list and under $25! The Anova Wifi Sous Vide (the one I have!) 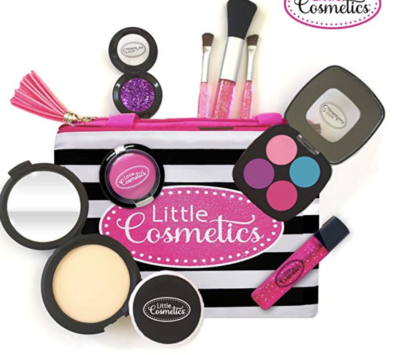 is HALF OFF and $99 HERE! This is one of the best deals that I’ve seen on the 4K Ultra Smart TVs! The Ring Doorbell + Echo Dot Combination is over $100 off HERE! …as always I really appreciate you sharing this post with your friends and family– means the world to me! 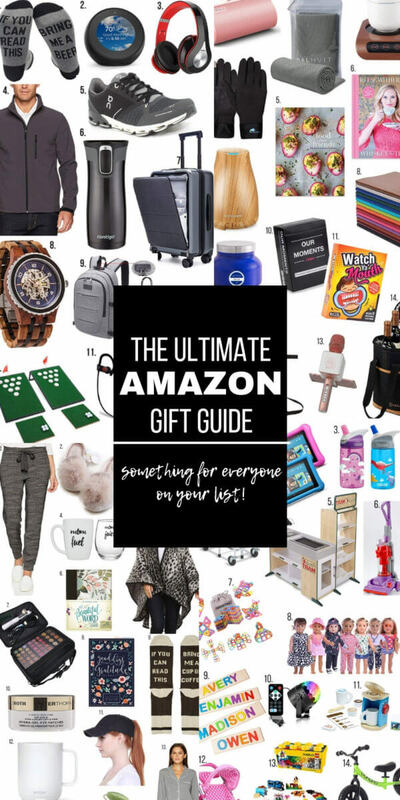 See my comprehensive Amazon Gift Guide HERE. There are tons of ideas for Him, Her, Kids and under $25!! !